Want to hear something exciting? 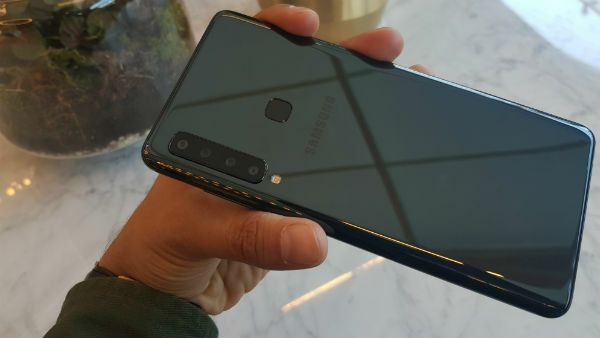 Well get ready, because Samsung has unveiled the world’s first quad camera smartphone. The Samsung Galaxy A9 is a photography monster with four cameras, and four incredible functions. Mobile photography just got more exciting. We’ve got to start with those cameras. There are four different types to help you capture breath-taking vistas and super selfies. 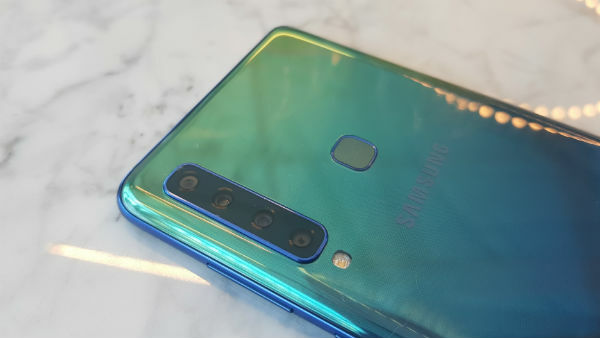 On the rear of the phone you’ve got a 24MP f/1.7 wide angle lens, a 5MP f/2.2 lens, a 10MP f/2.4 lens with 2x optical zoom, and an 8MP f/2.4 lens. The main camera adjusts to every moment and captures incredible detail and contrast for all your everyday pictures. Even in low light, the Galaxy A9 merges pixels together for brighter pictures. A 120° Ultra-wide lens gives you the same viewing angle as the human eye can see, so you get more of the subject in the frame. With a wider view, the camera captures the scene as you see it with your own eyes. The telephoto lens has a 2x optical zoom so that getting closer is easier without sacrificing picture quality. There’s also a depth camera, which gives your photos a new dimension by letting you adjust the level of blur during or after your shot. Blur more or blur less, it’s up to you. A Scene Optimizer is powered by AI to recognise different scenes and tell you when a photo has a flaw. If someone has blinked, the AI will tell you straight away so you can go back and capture the perfect moment without your holiday photos being ruined. Another standout is the 6.3-inch FHD+ (2220 x 1080p) Super AMOLED display. It’s massive – and just the ticket for enjoying all those movies you’ve downloaded online. 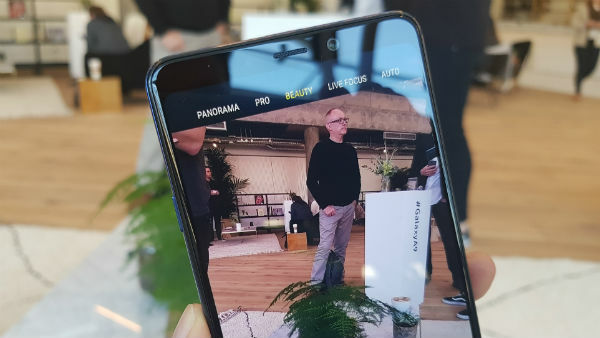 It’s also fantastic for looking at all the photos you’ll be taking on the Galaxy A9. Sound quality is great too, thanks to Dolby Atmos speaker technology. Front-firing speakers aim audio upwards and more directly into your ears, so none of that high-quality sound is wasted. Powerful performance comes naturally for the Samsung Galaxy A9. 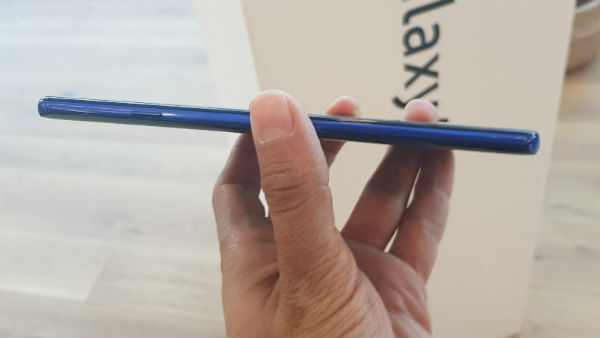 That’s because it has a 2.2GHz / 1.8GHz Octo-core processor and 6GB of RAM, so your phone won’t crash or freeze unexpectedly no matter how many apps you’ve got open. The Galaxy A9 can run anything without a fuss. 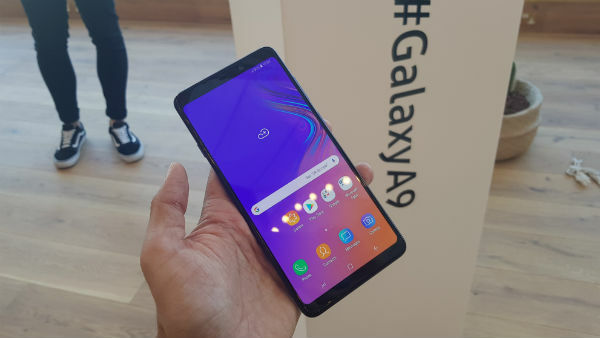 Storage is impressive too – the Galaxy A9 has 128GB of room to play with – which is plenty of space for apps, photos, movies and whatever else you fancy. The 3,800mAh battery should also last the day. 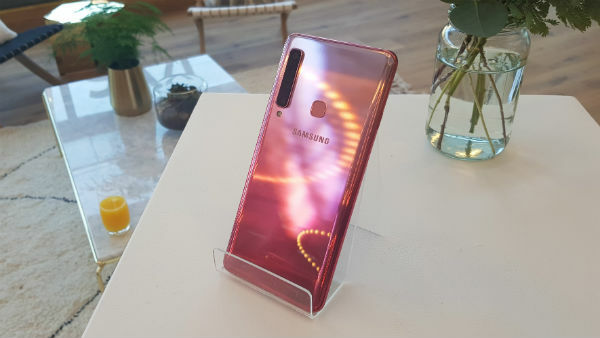 You’ve got all the premium features you would expect in a new Galaxy phone, like facial recognition, a fingerprint sensor and fast charging. And yes, there is a headphone jack. How’d you like the sound of that? Four cameras? Amazing. Let us know your thoughts in the comments below.